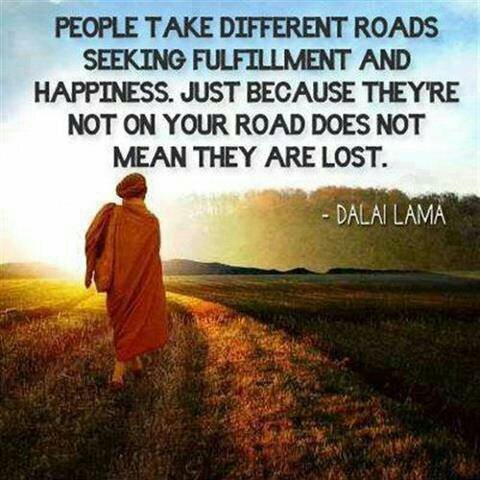 Lovely Message By Dalai Lama. I love this! It is a good thought to keep in mind. 10 Responses to Lovely Message By Dalai Lama. My pleasure – I agree, he is one of the greatest. Eliza, this is so true, but why is it so difficult to grasp? Yes, it’s amazing how Buddhist philosophy deals with putting this ego aside, or as it’s defined as “egoless bliss” (some concepts of Nirvana). I suppose there are the “stereotypical” roles that are expected from society. Whatever it is, the older I’ve become, the more ‘self-awareness’ I practice. I’ve noticed in general, it’s best to observe and be quiet, than to immediately speak and judge. A message of tolerance that should be heard and followed around the world. Wouldn’t that be nice? Let’s not give up hope!